Think about the last time you were running through an airport, headed to the gate to catch a plane. You stopped at the store to grab a magazine, snack and water. The cashier said hello, scanned the items you were purchasing, told you the amount you owed, took your payment, put your items in a bag, gave you your receipt and thanked you. Was it bad? 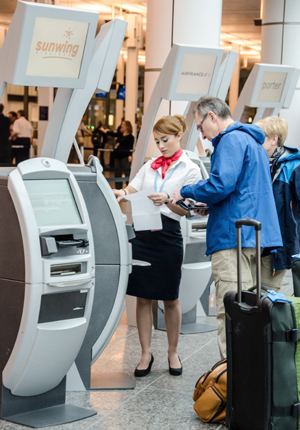 Not at all, it was a typical transaction that would repeat itself at 99.9% of stores you visited in any airport in the US. Was it a memorable experience? No, that purchase will never cross your mind again. So how do you know if you received an ‘Experience’ or just a ‘Service’? How do you know if you have delivered an ‘Experience’ or just a ‘Service’. People use these words interchangeably. 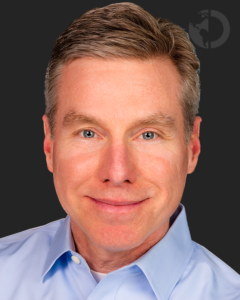 Is Customer Service the same as Customer Experience from an interactional standpoint? That is what this article will define: The difference between someone providing a ‘Service’ versus an ‘Experience’? Let’s break them down and see. What words & actions come to mind when you think of ‘Service’? Service is delivering the product or service as requested. We expect it to be on time, accurate, professional, as promised. It is reacting to a Customer’s request. It must be delivered, not optional; it is what the Customer is paying for, and the bare minimum. A service by itself is not unique; every one else is doing it, which makes it a commodity. A service is not memorable unless parts are done wrong or omitted. It is a transaction, unmemorable. The moment the ‘Service’ is complete, the Customer will never think about it again. ***Secret Service Summit video trailer and April BONUS Offer! What comes to mind when you hear the word ‘Experience’? An ‘Experience’ conjures up so many different things. ‘Experience’ evokes a reaction, a feeling; it is unique, uncustomary, and it sparks emotional senses. ‘Experience’ is by design, anticipatory, and is distinct. 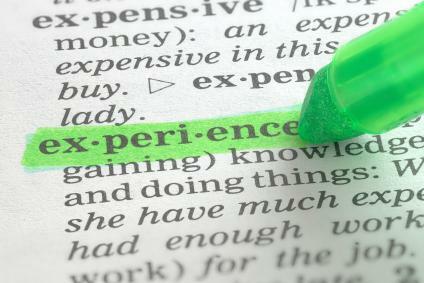 ‘Experience’ is entertaining, leaves an impression, is memorable, and creates a need to have it repeated. The Oxford Dictionary defines an ‘Experience’ as an event/occurrence which leaves an impression on someone. Let’s go back to the airport store. What if after the cashier greeted you, she said, “Where are you headed today?” After you respond with, “Nashville”, she says, “For business or pleasure?” Or she might say, “I have never been to Nashville but I hear it is so nice.” And as she hands you your bag, she says, “I hope you have a great time in Nashville, come back and visit again.” How often has that happened to you in an airport store? It was a positive interaction that left you feeling better than when you walked in. That is an Experience. It was unique and memorable. When I say memorable, it doesn’t mean you will think about it the next day or even in a week. But the next time you are at that airport, you will remember your experience at that store, which will only increase the odds of you stopping there again. So what makes a ‘Service’ an ‘Experience’? Turning what was once a mundane transaction into a unique memorable moment means you have to re-evaluate everything you do, every way you interact with your Customer. Regardless of the length; it could be a one-hour face to face meeting, a conference call, a 10 second check-in, transferring a call, or replying to an email. 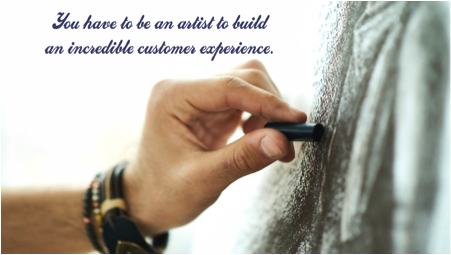 You have to be an artist to build an incredible Customer Experience. Customer Experience is where process meets design and art. It is about creativity and innovation put into a system that allows you to build unique and memorable moments. However, an ‘Experience’ is still too big, too macro. We need to break down what an Experience is. A brand experience is the sum of ‘Experiential Interactions’ your Customers have, that leave an impression. Therefore, the focus needs to be on ‘Experiential Interactions’. ‘Experiential Interactions’ are all the micro moments during a Customer’s interaction with the employees of the organization. Low or no cost – As you will see, nearly every example costs nothing but coaching your employees to pay attention. Simple to execute consistently – Everyone’s job is hard enough; we don’t want to complicate or add any complexity to a person’s workload. Has zero impact on productivity – ‘Experiential Interactions’ should not add ten seconds to a phone call, appointment, or checkout. Creates an immediate WOW for the Customer – More importantly, it is a pleasant surprise to the Customer that they rarely will get elsewhere. The most common interactions we have with our clients, multiple times a day, are answering phones, checking people in and out, sending and responding to emails, meetings, and conference calls. Besides the last two, meetings & conference calls, the majority of the other interactions are typically less three minutes. The most difficult interactions to add experiential actions would be the ones that are the shortest. So let’s look at how you can create experiential actions during quick interactions. Let’s take a look at the typical hotel check-in. The action items listed below the Service column happen every time, repeated at nearly every hotel anywhere. However, by adding a few minor experiential actions, it turns your check-in into an experience at the expense of no additional time for the guest or hotel receptionist. 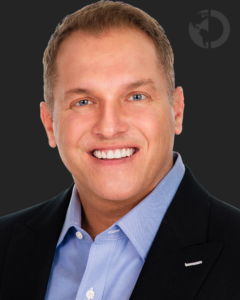 Flight Attendant – Out of the hundreds and hundreds of times I have boarded planes, there have only been a few times that I handed the gate agent my boarding pass and they have said, “Welcome Mr. DiJulius.” Why can’t that happen every time? The passenger name pops up on the their screen. Also, on the major airlines, when flight attendants are coming down the aisle asking for your drink selection, why can’t they address you by name? They have the seating chart. 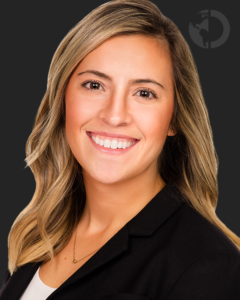 Checking someone in – In professional service firms and corporate offices, someone who has an appointment scheduled should never have to give their name to the receptionist. The receptionist should be prepared with who has appointments and at what time. 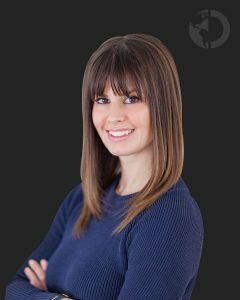 Invoice – You might think this is a tough one to add experiential actions to, but there are some easy things that can be done. In the email that the invoice is attached to or a note on the invoice, personalize it. If nothing else, we know what city they are based in. You can write, “Hope spring has arrived in Denver.” On your invoices, you can have a message or a quote of the month. Make your invoice stand out. If you want to be really special, when they pay, send them an email saying, “Hi Alice, I received your payment and wanted to thank you for always paying on time and being such a pleasure to work with.” Think of how many invoices that accounts payable person gets per week, not to mention all the inquiries they get asking where their money is. How many people show appreciation to the Accounts Payable person? You can bet your invoice will always take top priority when you treat them like that. Action Plan – Review the following most common interactions with your employees and have them help you figure out how they can turn simple transactions into memorable ‘Experiential Interactions’. You will be shocked at what they come up with and commit to. 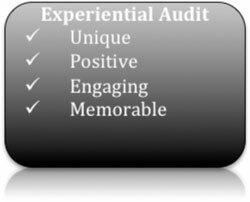 Don’t forget the experiential audit. BONUS: Register Before April 30th! 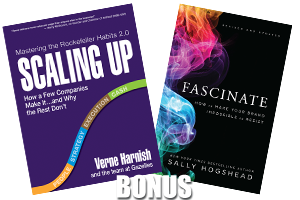 Be one of the FIRST 500 to register for this year’s Secret Service Summit, America’s #1 Customer Service Conference, and receive these 2 incredible volumes by best selling authors and keynote speakers Verne Harnish and Sally Hogshead. As an additional BONUS, register this April and receive John DiJulius’ best seller “The Customer Service Revolution” PLUS a Live Keynote Video presentation. This offer only available online. While they may complain about the service defect, they are going to rave about how we handled it.